I love to hear about people wanting to start their own business or starting their own business because I did that 8 years ago. I grew up in Long Island, Great Neck, then I went to college in Wellesley, Massachusetts at a small business college called Babson. I majored in accounting and ended up getting a job at Deloitte in the audit department. I joined my dad in the home furnishings industry and worked with him for about 4 to 5 years, and I decided to combine my accounting audit skills at Deloitte with my entrepreneurial skills at Armel Enterprises, my father’s business, and started 212 Tax and Accounting Services in 2008. We are one of the leading New York City tax and accounting firms. I love to hear about people wanting to start their own business or starting their own business. It’s not always just the accounting and tax related questions but also the general feeling around starting your own business and the risks involved. Fortunately I succeeded with 212 Tax so I’m able to share my own personal experiences. I’ve been in their shoes starting this business, and with my father business, I was running the show. An entrepreneur has to run all aspects of the business. Even if you hire someone to take care of your business accounting and tax you still need to know what’s going on and be able to step into their shoes. My experience in 2 different industries, running two different companies, is very valuable to other entrepreneurs. 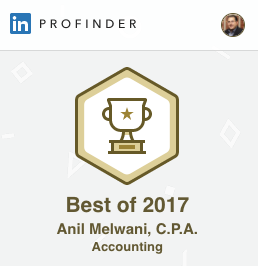 Where a lot of other CPAs just work for accounting firms their whole lives, they haven’t actually run their own business for that long, and I run 2 businesses at this point. People appreciate that. Visit the 212 Tax & Accounting Testimonials page where my clients share their experiences working with my team.